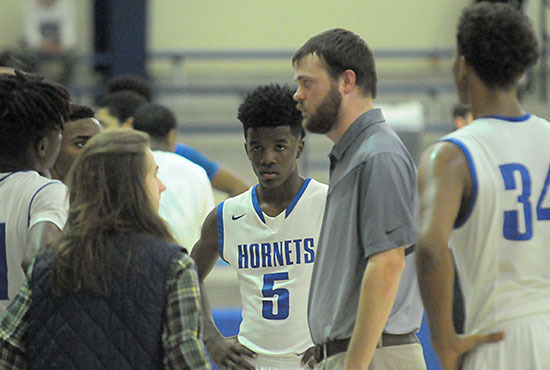 For most of their Central Arkansas Junior High Conference contest Thursday night at the Bryant Middle School gym, the Bryant Hornets freshman team just could not slow down Conway Blue point guard Chase Boyd, who had 18 points going into the fourth quarter. Finally, in the final two minute of the game, needing to foul, the Hornets started putting him at the line. And, in four trips, Boyd converted just two free throws. Unfortunately, the Hornets struggled too and the 12-point hole with which they entered the final quarter proved too much to overcome. 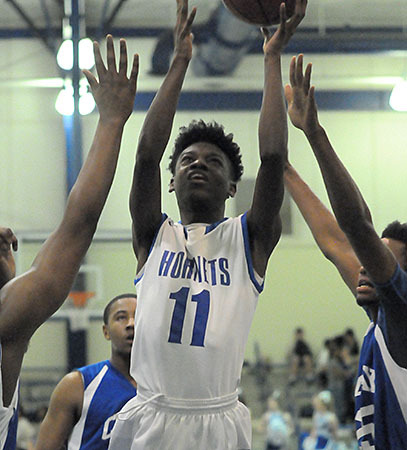 Though they whittled the lead to 5 at one point, the Hornets suffered too many missed opportunities and the Wampus Cats escaped with a 51-43 victory, avenging a 56-54 loss in overtime at Conway on Dec. 5. The Hornets, who were locked in a four-way tie for the conference lead a week ago, suffered their second loss since then. 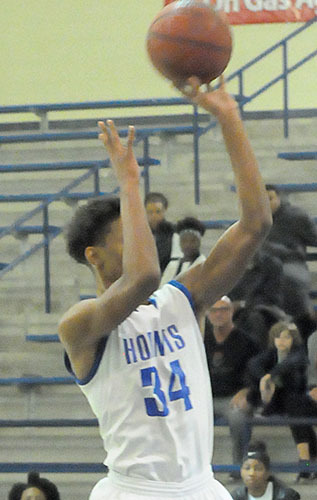 At 12-8 overall and 9-4 in conference, they’ll try to finish the regular season strong and head into the Central Arkansas Junior High Conference with some momentum. Bryant hosts Little Rock Catholic in the final home game of the regular season. 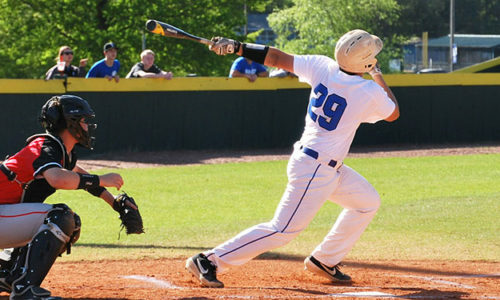 They finish up with trips to Russellville, Cabot South and Conway White. Boyd wound up with 22 points. Trey Tull, his backcourt running mate added 9. But it was the front court that frustrated the Hornets, who shot just 33 percent from the field (15 of 46). The Hornets also struggled from the free-throw line, converting 10 of 21 including just 5 of 11 in the fourth quarter. Twice they had free throws wiped out by lane violations. Marqelle Barnes paced Bryant with 13 points. Keith Merriweather Jr. and Ethan Hilkert added 7 points each. O.J. Newburn had 6. Despite the fact that Hilkert finished with 10 rebounds and Catrell Wallace nine, the Hornets were out-rebounded 34-32. The Hornets never led in the game. They were within 8-7 late in the first quarter after a running jumper by Barnes. They had a chance to take the lead but missed a 3-point try. Boyd then beat the buzzer with a 12-footer to make it 10-7. 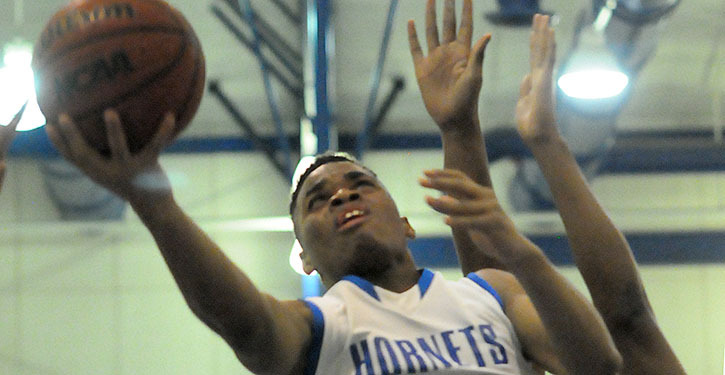 Merriweather drove to the rack, scored and was fouled to start the second quarter. But his free throw rimmed out and Conway Blue maintained the edge. The Cats responded with an 11-2 blitz that Boyd sparked with a drive. It was 15-9 before Bryant scored again. Hilkert scored and was fouled though his free throw refused to go as well. Consecutive baskets by Tommy Grady, Boyd and Tull extended the margin to double digits, 21-11. Though the Hornets got the offense going again, they couldn’t close down the Cats who led 28-17 at the intermission. Boyd hit a 15-footer to start the third quarter but Darrick Rose knocked down a 3 at the Bryant end. 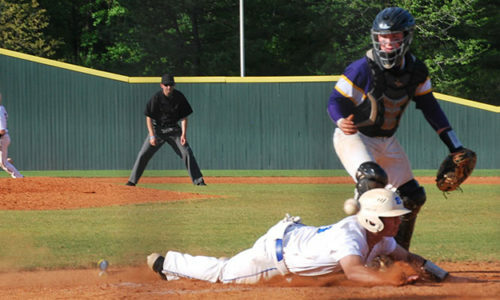 That cut it back to 10 but Conway Blue surged to as much as a 15-point advantage. Three-point plays by Merriweather and Barnes trimmed the margin to 12. In the final seconds, Boyd and Hilkert traded hoops to make it 40-28 going into the fourth. Newburn got hot for the Hornets, nailing a 3 from the corner to start the quarter. Barnes added a free throw and, after Boyd drove to the hoop, Newburn ripped a second triple to make it 42-35. Bryant had two chances to cut it further before Grady hit a layup. Then, in consecutive trips to the free-throw line, the Hornets picked one of a possible 4 points as their frustration grew. It helped when Boyd missed the front end of a one-and-one. The Hornets got a look at a 3 but couldn’t get it to the mark. With 1:17 left, Boyd managed to get a pair of free throws to go, making it 46-36. But Barnes drove for a hoop and, after a timeout, Boyd was fouled again. He missed the front end this time but Barnes got fouled and was unable to earn the bonus. With :52 to go, Rose hit a short jumper. Boyd, however, missed twice with :51.7 showing as Wallace fouled out. A free throw by Barnes made it 46-41 with :44 left. It was all free throws for both teams in a very long final 30 seconds. Tull hit two. Hilkert hit two shots but one was wiped away by the lane violation. In turn, Xavier Robinson converted a free throw for Conway Blue with :11.2 showing. That put the game out of reach, giving the Cats a three-possession lead 49-42. Hilkert and Robinson traded free throws in the last few seconds to set the final score. Tull 3-11 3-4 9, Boyd 9-12 4-8 22, Robinson 1-7 4-6 6, Williams 3-8 0-0 6, Scott 0-0 0-0 0, Grady 3-4 0-0 6, Kaiser 0-1 0-0 0, Orr 1-2 0-0 2. Totals 20-45 11-18 51. Rose 2-8 0-0 5, Merriweather 2-12 3-6 7, C.Washington 0-0 1-2 1, Barnes 5-10 3-6 13, Wallace 2-4 0-2 4, Hilkert 2-5 3-5 7, Newburn 2-5 0-0 6, West 0-1 0-0 0, Herron 0-1 0-0 0. Totals 15-46 10-21 43. Three-point field goals: Bryant 3-20 (Newburn 2-4, Rose 1-5, Merriweather 0-7, Barnes 0-2, Hilkert 0-1, West 0-1), Conway Blue 0-7 (Tull 0-4, Robinson 0-2, Boyd 0-1). Turnovers: Bryant 13, Conway Blue 6. Rebounds: Bryant 16-16 32 (Hilkert 5-5 10, Wallace 4-5 9, Merriweather 3-2 5, Rose 0-2 2, C.Washington 1-1 2, Barnes 2-0 2, Newburn 0-1 1, Herron 1-0 1), Conway Blue 11-23 34 (Williams 4-4 8, Boyd 0-6 6, Grady 3-3 6, Tull 0-3 3, Robinson 1-2 3, Scott 0-3 3, Grady 0-1 1, Orr 1-0 1, team 2-1 3). Team fouls: Bryant 17, Conway Blue 19. Fouled out: Bryant, Wallace; Conway Blue, Robinson, Williams.